Ah, summertime is here. And yet, it’s business as usual at the office. If you aren’t able to shut down your business, jet-set to a faraway beach and enjoy cocktail after cocktail, join the club. But just because you can’t spend all your time outside, doesn’t mean you can’t beautify the outside of your office space. Investing in the appearance of your office exterior is definitely worthwhile. You start telling the story of who you are before prospective clients and customers walk through the door. Are you telling a fairytale or a nightmare? In all seriousness, a beautiful office exterior gives the impression that you run a successful, professional business. Nothing is quite as sad as a business property with dead or overgrown grass, sparse flowers or stretches of boring, grey concrete. 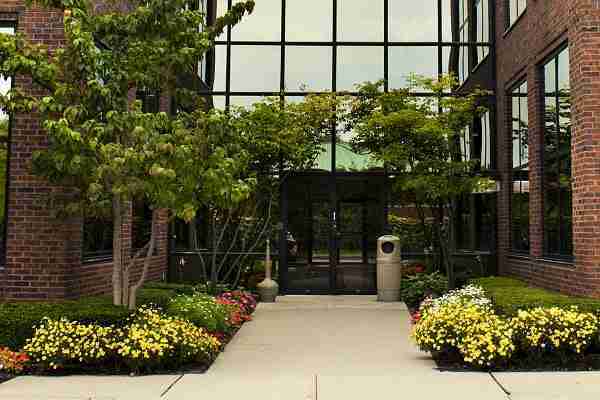 Here are three different ways that you can give your office exterior a face-lift. 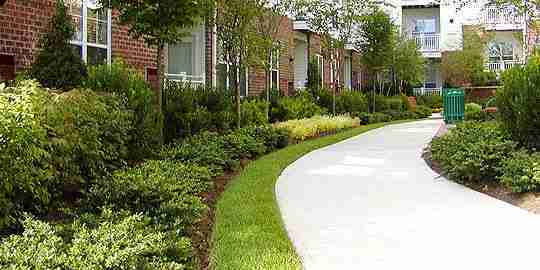 If you’re really looking to change the face of your commercial property, landscaping is the way to go. 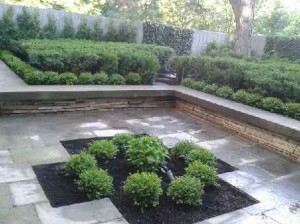 Experienced landscape designers can transform a property from plain to posh. The trick is finding a landscape design company like Aden Earthworks that knows how to optimize your space and maximize the value for your budget, while delivering a design that reflects your personal preferences and aesthetic. Our advice? Get creative! You might consider creating gardens in high traffic areas, walkways, courtyards … the options are endless and the sky is the limit. One of the easiest ways to bring life to your office exterior is with summer planters. You can select urns ranging in size and style that reflect your interior design aesthetic. 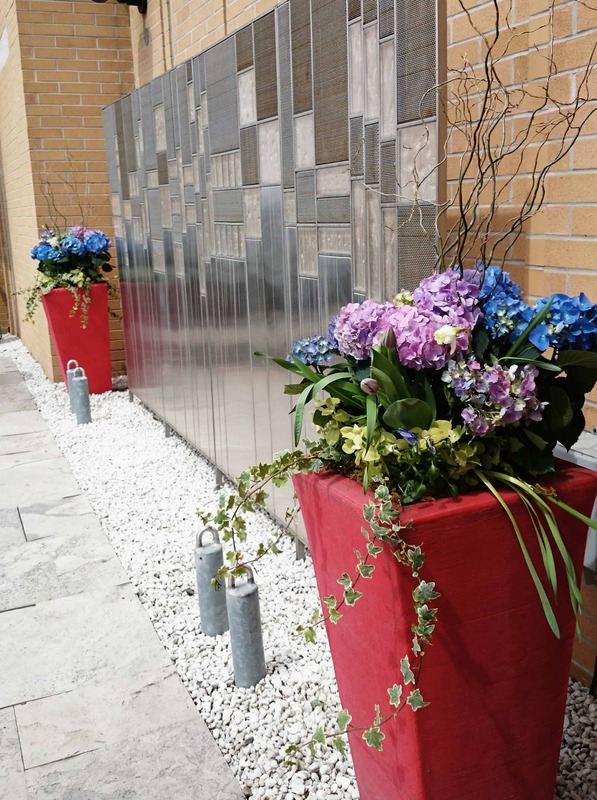 Choosing brightly coloured flowers that really pop will draw attention to your property for the right reasons. Aden Earthworks carries a gorgeous selection of summer planters with everything from tall, cascading florals to more understated, classic florals. What’s your style? Patchy, dead or overgrown gardens give a poor impression to potential clients and customers. Who runs this place? Is business hurting? Are they unprofessional? These are some of the questions people will ask if they pull up to dead grass, out-of-control weeds or sickly looking trees. But don’t fret. Enter into the picture Aden Earthworks. Our maintenance teams are dedicated to keeping commercial properties polished, healthy and – most importantly – professional-looking. We offer mowing, debris removal, plant maintenance, lawn and professional arborist tree care and horticultural expert assessments on a weekly, bi-weekly, monthly or seasonal basis. Whatever the size of your property and budget, contact Aden Earthworks today to discuss how you can make your commercial property more attractive…and keep it that way!